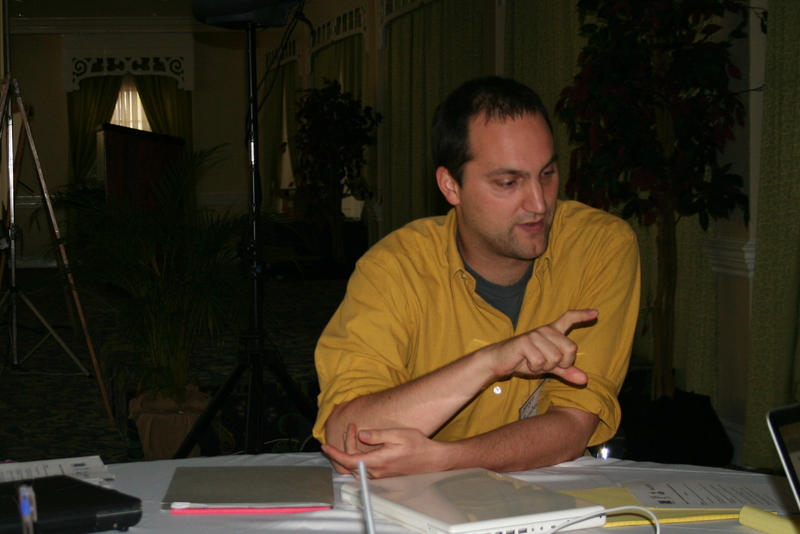 Thirty-five people, including participants, resource people and expert trainers, participated in Caribbean Impact 2.0: New mechanisms for linking research and policy, a two-day workshop in Kingston, Jamaica 22-23 February 2011. The workshop was the initial activity of an expert programme on new mechanisms for linking research and policy. It covered fundamentals in data visualisation techniques, Web 2.0 strategies for network building, research dissemination and impact, communication planning, and strategic use of video. Workshop followup includes the opportunity for participants to submit proposals to a competitive fund for the development of specific communication outputs that arise from the workshop. The workshop was organised by Fundación Comunica and Panos Caribbean in collaboration with the Telecommunications Policy and Management Programme of the Mona School of Business,UWI and with the support of the International Development Research Centre (IDRC). A lot of money, time and intellectual effort are invested into conducting research that can help make our societies better. While researchers have had no problems sharing their often ground breaking findings with each other, they often face serious challenges communicating the results of their research to the public, governments and other crucial stakeholders so their findings can be used as evidence to influence and guide policies, behaviours, belief systems and change. 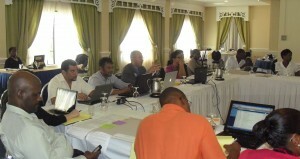 On 22 and 23 February 2011, researchers from the Caribbean came together to share ideas on new ways to Link research and policy so that their research could become part of the new paradigms that construct the future and make life as we know it, better. The workshop explored how new forms of communication, such as online social networks, web 2.0 tools, data visualisation and strategic use of video can be effectively used to bridge the existing gap between research and policy. “If you are doing research that is policy oriented, you need to be able to communicate it as well,” IDRC board member, Elizabeth Parr-Johnston stressed. Dr. Kim Mallalieu, Marine Fisheries Project Leader at the University of the West Indies in Trinidad and Tobago, one of the approximately 30 participants in the workshop, has similar views. “The link between policy and research is absolutely essential! It closes the loop and it’s important from both perspectives, both the researchers’ and policy perspective,” she stated. Adding that research strengthens policies, Dr. Mallalieu explained that policies based on research are much more valid than those that are not. “Policy that is based on authenticated research is robust and transparent and that’s very important, especially today. The link between research and policy makes research meaningful as research then has a very useful and practical purpose; it is not just an activity in and of itself,” Dr. Mallalieu continued. Dr. Mallalieu was among the 24 researchers who shared policy-oriented research projects which they were currently working to conclude and strategised around communication activities designed to improve the link between research and policy. A key component of the workshop was the use of “Physi-wikis”, posters with descriptions of participant’s projects that, like a wiki, can be modified and edited by all. Participants prepared brief descriptions of research projects they are currently working on and did 5-minute presentations summarizing aspects of research, the policy environment, and proposed innovative communication activities. Time was allowed for comments, questions & discussions. Following that, participants and thematic experts were able to edit and add to the posters, using them as strategic tools for developing communication ideas into plans. The Physi-wikis were central elements in break-out sessions during the second day of the workshop, during which participants were able to choose to consider four separate areas for each of them: Web 2.0, Data Visualisation, Strategic Use of Video, and Communication Planning. These break-out sessions, with appointed moderators, reviewed each of the projects presented in relation to these areas and discussed effective ways to effectively let the public and policy makers know about the innovations once research is concluded. Dr. Mallalieu’s project is based around the novel concept of using mobile phones to solve some of the problems and address some of the challenges experienced by the small fishing sector: fishermen, vendors, processors, retailers and wholesalers of fish and other marine produce. With the use of special mobile and web applications, persons and entities in the region’s fishery industry can advertise and source their products, check and compare prices. The technology being developed and tested also has features to improve and aid safety for fishermen while at sea. This project, being carried out at the University of the West Indies Trinidad campus, is twinned with an Information Technology research project that examines Internet use in Jamaica. 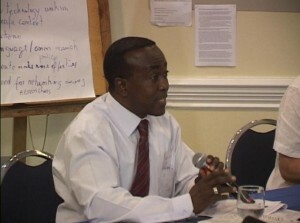 That project is headed by Dr. Hopeton Dunn of the Mona School of Business. A highlight of the workshop was the launch of the Impact 2.0 iGuide by Karel Novotny of the Association for Progressive Communication and Fundación Comunica. The online manual aims to provide researchers with knowledge and tools for their communication needs in specific situations. The first section offers a brief introduction to what actually are the Web 2.0 tools and a general overview of strategies for using those tools to link research, policy and advocacy. Another section focuses on basic communication strategies and the final section contains a long list of Web 2.0 tools listed in the context of specific communication strategies that they can support. The iGuide was produced as part of Impact 2.0: Collaborative technologies connecting research and policy, a recent project led by Fundación Comunica with the financial support of the International Development Research Centre (IDRC). Impact 2.0 seeks to develop a body of knowledge about the use of Web 2.0 in policy-oriented research and design, to identify, document and promote good practices and emerging opportunities related to the use of collaborative technologies for linking research to policy, and to build capacity in the strategic use of these technologies by researchers. An initial panel discussion presented three perspectives on linking research and policy. · Why do we do research? · What is the researcher’s responsibility in carrying out research? · Who will benefit from the research? She stressed that any strategy developed to communicate research results must identify policy gaps, propose solutions to problems that affect the wide public. She said it is also key to demonstrate how the research relates to people’s lives and issues that concern them. “Make realistic recommendations that take into account, current realities and obstacles to change,” she advised. According to Nicholson the development of a clear, structured, communication strategy is crucial and she recommended using simple language that serves to “demystify” research findings. In addition to heading the Telecommunications Policy and Management Programme of the Mona School of Business in Kingston, Dr. Hopeton Dunn chairs the Broadcasting Commission of Jamaica and thus speaks from a unique position as both a researcher and a policymaker. In his contribution to the panel, he noted that a major barrier to research carried out in the Caribbean is being accepted by policy makers. There is an unfortunate regional ideology that over-values ‘imported’ research – research done outside the region in developed countries. “Policies from outside Caribbean are often more welcomed and embraced than locally generated policies. There are concerns about indigenous research. But I think a part of the problem is due to how our research here in the region is presented,” he stated. He advised that in order to effectively engage with policy makers and increase the chances of influencing policy, researchers have to consider how accessible their research findings are. “Think carefully about the format you use to present your findings to policy makers. Determine what format is best to present your findings in; text version versus soft copy and it should not be more than two pages despite the long winded findings process which was used to arrive at your conclusions. Sometimes we fall in love with the methodologies and processes and we become disconnected from our audience and this negatively impacts the ability to communicate effectively,” the veteran researcher charged. Among the points he raised was the fact that for many people social networks are outstripping other online platforms, citing one very potent example that he became aware of while at the workshop. “When you log on to the hotel’s Internet service it takes you to a default startup page. Normally that would be the hotel’s website, but here it takes you to their Facebook page! Previously, a company’s website would have been the marketing hub for its products and services, now Facebook and other social media are replacing that,” he stated at the beginning of his presentation and received a chorus of agreement from the participants in the room. Lyn-Marie Deane, Communication Officer at the Centre for Resource Management and Environmental Studies (CERMES) at the University of the West Indies, Barbados presented on Elements of a Communication Strategy: The Case of Marine Resource Governance in the Eastern Caribbean. 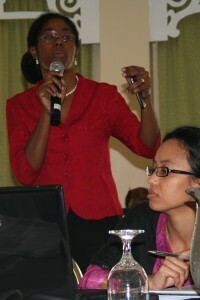 Indi Mclymont-Lafayette of Panos Caribbean presented on Strategic Use of Video. She demonstrated with interactive and relevant examples how videos can be used as an information sharing tool. She shared examples of how Panos develops and uses videos in advancing the organizations development agenda among beneficiaries, stakeholders, general public and policy makers. Elisa Arond, a Research Consultant from the STEPS Centre in the United Kingdom, presented on “A multimedia Approach to Linking Science and Innovation to Development.” She used illustrations from the STEPS New Manifesto Project carried out by her organization. At the close of the workshop a video developed with footage filmed over the two days was presented. The video, with an island feel infused at the beginning and end with the infectious sound of Reggae artiste Bob Marley, appropriately brought the curtain down on a successful two days of exploring the links and gaps between research and policy and sharing ideas on how effective use of Web 2.0 communication tools can strengthen existing links and bridge gaps. As the workshop was the initial activity of an expert programme on new mechanisms for linking research and policy, the end of the workshop is only the beginning. Workshop participants have been invited to prepare proposal to develop a specific communication output arising from the workshop and thus be eligible for professional certification. The proposals can be submitted for consideration by the Impact 2.0 small grant competition. The competition is offering four or five small grants (up to US$5,000) to enable participants to apply and extend what they learned at the workshop. More details about the small grant competition are available in the file small_grants.pdf. This entry was posted in Capacity building, Data visualisation, News and tagged advocacy, APC, caribbean, david malone, IDRC, Panos, Physi-wikis, visualisation. Bookmark the permalink. Post a comment or leave a trackback: Trackback URL.